Foop has stolen your wand and you must bring it back before it causes chaos. Pick up shields, avoid robots and get bonuses. Foop wants to rule everything and he has stolen the magic wand to create chaos. Don't let him do that and bring back the wand. Collect shields, bonuses and avoid hostile units! 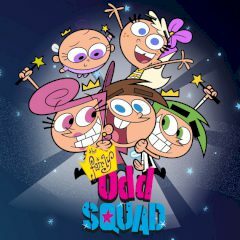 Play Fairly OddParents! Whoa, Baby!